Shopping for the best possible mattress for back pain can be an overwhelming and confusing process especially with so many options available these days. Click here to jump to our top 5 mattresses for back pain. There are several key factors to consider if you suffer from back, neck, or shoulder pain and want to choose the best mattress to ensure a good night’s sleep. Lower back pain is a problem for many sleepers. It is crucial to find a mattress that offers good support so you won’t suffer from added pressure to your back every time you go to sleep! It is important to note that firmness and support are not the same. A mattress can be firm without offering good support while a soft mattress can give you great support. Adequate support comes from a mattress that keeps your spine in alignment, while also remaining comfortable. Comfort and spinal alignment are equally important. If the mattress is creating pressure points on your back or elsewhere on your body, then you are likely to experience pain and discomfort which negates the benefits that a mattress with good support provides. A good mattress for back pain should keep the spine aligned and supported and be comfortable at the same time. What is the ideal firmness for a sleeper with back pain? Firmer mattresses provide the feeling of sleeping on a top of the mattress rather than inside it which is a typical characteristic of softer mattresses that let you sink into them, hugging and contouring to your body. A mattress that is medium to slightly firm is most preferred and recommended. Therefore, it should be around a 5-7 on the firmness scale, with 10 being the firmest. This medium level of firmness offers an ideal balance of support and softness necessary for comfort and pressure relief. However, there are some sleepers, especially light sleepers, that prefer a softer mattress and feel that it is better for their back. Light sleepers typically steer away from the firmer mattresses because they provide too much of the “floating” feeling which exacerbates lower back problems. Depending on their sleeping style, softer mattresses can provide more consistent spinal alignment, leading to less pressure and less aches. One of the most important things that back pain sufferers should pay attention to is pressure points. Typically, pressure points mean that there is more push back on one specific area, causing misalignment along your body and spine. When the back /body move out of alignment, more pressure is placed on your spine, leading to unwanted back pain. Therefore, it is important to choose a mattress that will allow your body to rest in a relaxed state and the pressure points along the spine and lower back will be significantly reduced. Nearly 80% of sleepers will encounter some kind of back pain in their lifetime. Not everyone is affected equally but we all need to pay attention to that pain because it can become worse over time if left untreated. The renowned Mayo Clinic puts back pain into two primary categories: acute and chronic. Back pain can come suddenly, caused by a fall or heavy lifting and it can last less than six weeks (acute) or more than three months which is less common than acute (chronic). A few of the primary causes of lower back pain and back pain and some preventative measures to help alleviate them are listed below. Stress is believed to be the most common cause of back pain. Stress causes a lack of sleep which, in turn, means more tossing and turning throughout the night. The more you toss and turn, the more likely you are to pull a muscle or to fall asleep in an unnatural position your body is not used to. Also, lack of sleep can leave muscles susceptible to strains. Your muscles have to work extra hard during the day when you are tired, which might lead to lower back issues. Get enough sleep – Make sure you have enough time to fully rest and recover each night. Sleep is one of the most important factors affecting stress levels. Whether sitting, standing, or sleeping, it doesn’t matter. If your spine is abnormally aligned due to poor posture, lower back is more likely to occur. Now that you know some of the causes of back pain and the criteria for evaluating the best mattress for back pain including support, firmness, and pressure relief, you can make a better choice when looking for the best mattress that could help you deal with your back pain. Choosing a mattress which provides ideal support and firmness and reduces pressure points is key to preventing or alleviating current or future back pain. Memory foam, latex, and hybrid coil mattress types that combine all of these materials are great choices for those suffering from back pain. Having a mattress which offers excellent support for all sleeping styles is important to ensure a pain free night’s sleep. 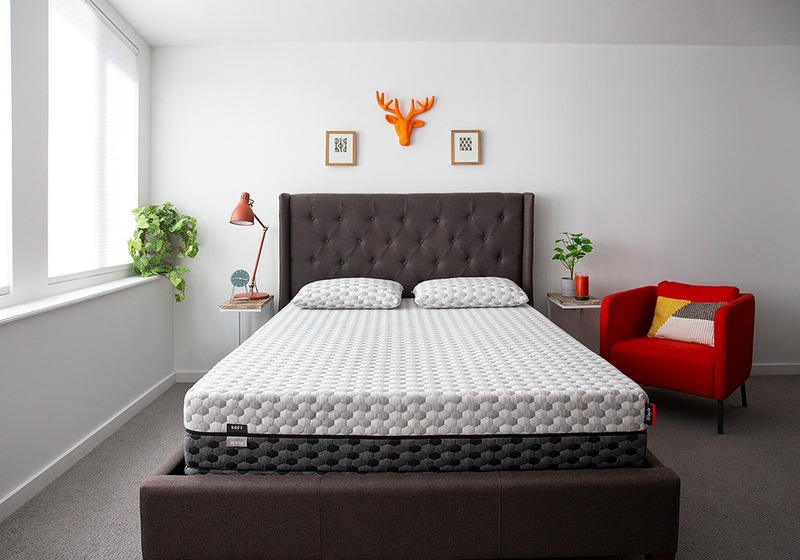 The following mattresses are a few of many excellent mattresses on the market today that can help alleviate or reduce your back pain when sleeping. Although these are not the only mattresses that are good for back pain, they are some of the best currently present on the market and we heartily recommend them to all those suffering from back pain. The Layla is also a classic memory foam mattress that utilizes copper infused memory foam as well as ThermoGEL in the mattress cover which helps regulate body temperature and provides a cooler sleep. The copper infused memory foam helps improve circulation and blood flow which can help with back pain when sleeping. The Loom and Leaf is an excellent choice for those suffering from back pain. This 12″ thick mattress is made up of 5 different layers of high quality foams and other materials including medical grade cooling gel in the comfort layer. It provides great support and comes in several firmness options. The Loom and Leaf doesn’t make you feel like you are sinking into foam like other mattresses.This mattress provides excellent support and comfort and prevents the appearance of pressure points on your body when sleeping so you can wake up without aches and pains. Get the full Loom & Leaf review. Medical grade cooling gel along with the quilted foam within the cover prevents heat retention and makes this mattress sleep quite cool and a perfect choice for those with back pain problems. We hope that the information above helps you understand the causes of back pain and what to look for when shopping for the best mattress for back pain. Ensuring that your mattress has good support, the right firmness level, and pressure relieving features is crucial for getting a painless and restful night’s sleep.